That was a bit all over the place, Once Upon a Time! 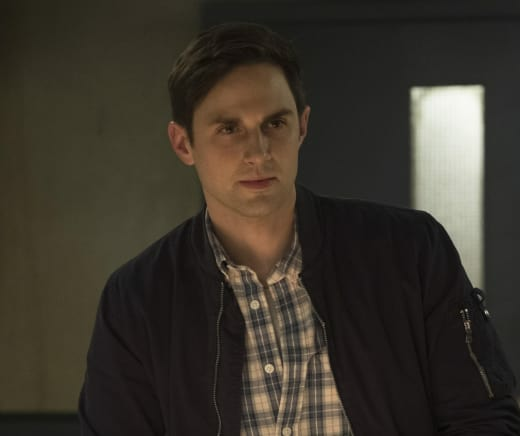 With this once-hot ABC drama gearing up to come to a close, fans have been wondering just how the whole thing is going to end. 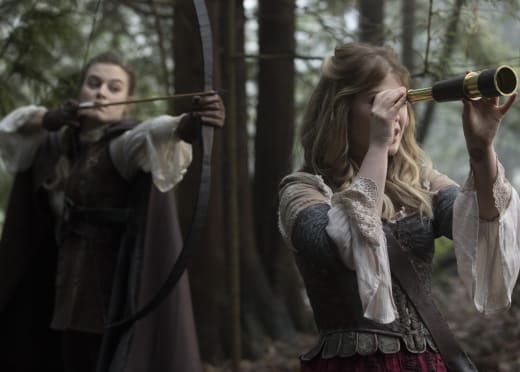 On Once Upon a Time Season 7 Episode 16, two of the series' most-loved characters were put in danger, but will any harm to come them? It's hard to imagine Zelena or Henry not surviving Once Upon a Time Season 7. They are both big characters and fans will be clamoring for them both to get happy endings. We already knew Henry was going to find himself in the clutches of Nick aka Hansel, but adding Kelly into the mix was just plain rude. Related: Once Upon a Time Canceled After Seven Seasons! What was more frustrating about Henry's side of things was that it came at the time he realized there was actually something there between him and Jacinda. Oh yes, the show is taking this relationship to the grave. It's been 16 episodes of convoluted drama between the pair, and I'm tired of it all. Henry is smart, so I find it silly that he even got in the car with Nick in the first place. He should have put two and two together before that moment. Maybe he was consumed by love or wondering about that job opportunity in New York. Did anyone seriously believe Henry would make it to New York? It was yet another obstacle thrown into this already tired love story, and I could care less about it. 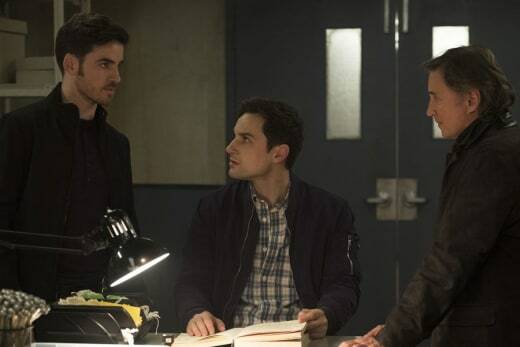 That said, I am intrigued to find out why Zelena is Nick's next target. This storyline will likely result in both Regina and Zelena finding a way to get their powers back. It will be fun to see the sisters strutting about Hyperion Heights with some power for a change. I'm still not sold on this serial killer arc. It still feels a little too out there for Once Upon a Time, and I can't help but think it will be alienating a lot of the younger audience. You are the best and bravest woman that I have ever met, and if you could make a leap of faith with me, I’d like to build a house for us right here, for the two of us and see what kind of life we could make together. We finally have confirmation that Nick is Hansel, but I don't think we ever really needed it. That was pretty much confirmed on Once Upon a Time Season 7 Episode 15. The flashbacks throughout "Breadcrumbs" were actually pretty good. Henry and Hook off on an adventure was exciting to watch. 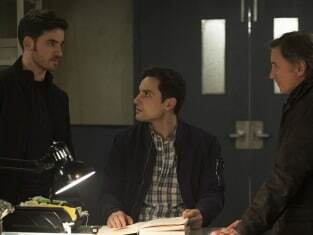 The revelation that the whole thing was orchestrated by Hook to give Henry a story of his own was hilarious, but Henry handled all of it in a mature way. I like that it made him realize he doesn't need to find his story any longer. His love story with Ella was burgeoning, so the story was finding him. I was looking forward to seeing another big dragon fight, but I guess that's being saved for down the line. Was anyone else ecstatic that Tilly finally found something she was happy doing? Rogers has been helping her out for a while now, and I never thought she would find happiness working for Sabine at the food truck. Tilly has had a hard life and has always felt invisible. Now that she's in a customer facing environment, she's able to speak to more people than ever before, and they're actually giving her the time of day. Rose Reynolds has been killing it every week as the complex character, and I cannot wait to see how Tilly's storyline ends. Her scenes with Margot were some of the best of the night. They obviously have a very vivid love story, and when the curse is broken, we will get a lot more insight into that. Tilly: Yeah, you remember me. Margot: I saved your life the other day. Kind of makes you hard to forget. Permalink: I saved your life the other day. Kind of makes you hard to forget. It's also good to see Zelena trying to be a mother to a grown up. For the most part, she's doing a surprisingly good job. Zelena was once one of the most selfish characters on all of TV, but with some excellent character development, she changed her ways. "Breadcrumbs" was a decent episode of this ABC drama. The show is gearing up for a big finish, and I can't wait to see how it all ends. What did you think of the episode, Once Upon a Time Fanatics? Are you tired of the serial killer arc already? Is there any way Hansel will get his way, and Zelena will die? What are your thoughts on Margot and Tilly? Remember you can watch Once Upon a Time online right here via TV Fanatic. Get caught up with all the latest twists and turns now. Once Upon a Time continues Fridays on ABC. 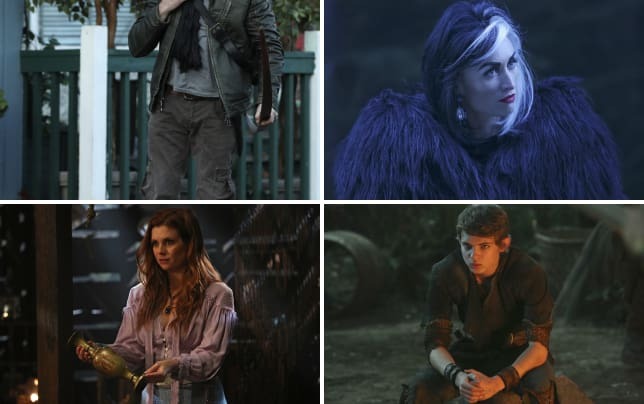 Once Upon a Time: Who's Returning?! I can’t offer you a legend, but I can offer you my heart. Permalink: I can’t offer you a legend, but I can offer you my heart.